WANKULUKUKU – Having missed the draw at home to URA and the 3-1 defeat away to Mbarara City due to International Transfer Certificates (ICT) issues, Express duo of Isaac Mutanga and Johnny Levita have been given the go ahead to start playing. 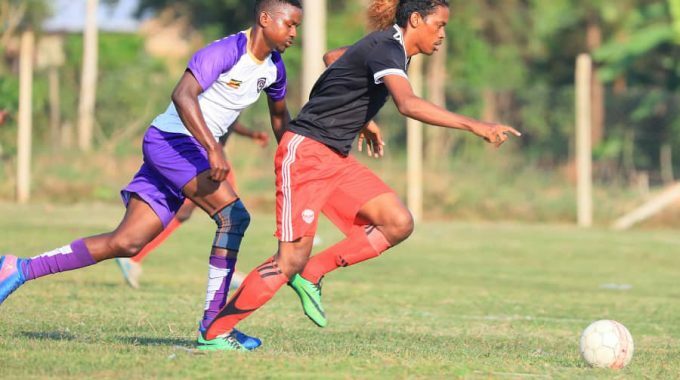 After sorting everything out with their former side CD Bukavu Dawa of Congo, the pair is now expected to feature in Express’s next dual with Police FC when the league resumes next week. Defender Isaac Mutanga is on a return to Express after playing for the 6-time champions in the 2015-16 season. He was named assistant captain at the start of this season to deputise Julius Ntambi. Johny Levita is expected to be a mainstay in Kefa Kisala’s midfield department on the account of his impressive preseason exploits. Express who sit 13th on the log will play against Police FC at the StarTimes Stadium Lugogo in their next league game on Tuesday 16th October.